In sixteenth-century England, the Puritans were concerned about bringing Christian values to bear an increasingly secular nation. The Christians today have the same problem. What was the Puritan’s solution back then? Go to America and create a purely Christian society for the world to see and follow. For the Puritans, the Bible was their number one resource for everything, including the practice of counseling. Puritan preaching constituted a form of preventative counseling, as the truths of Scripture were applied to the conscience. To accomplish this purpose, every sermon was divided into two major parts: doctrine and use. The result was preaching that was both deeply theological and intensely practical. One of the contributions the Puritans gave us was a world-regenerative creed, a vision that America is “a city set upon a hill.” That vision infused American literature, foreign policy—our entire sense of identity. 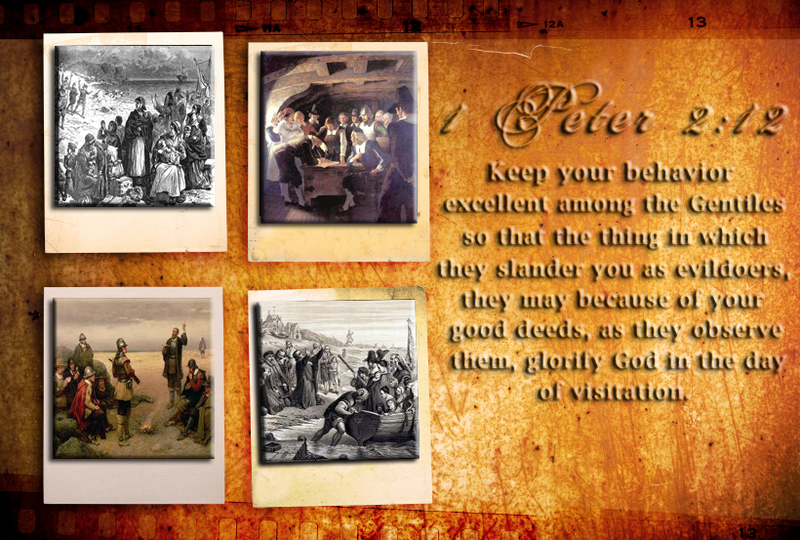 Regardless of the severe hardships the Puritan colonists endured on the shores of New England and beyond, they remained great souls serving a magnificent God. They were idealistic, goal-oriented, compassionate people. They were great believers, great doers and great sufferers. The Puritans left a profound legacy here in this nation and it is quickly eroding. The more I grow closer with the Lord, the more I appreciate the Puritans, their efforts, sufferings, struggles, and sacrifices. As difficult as it is to live in this world today, I believe if we don’t take a firm stand now and live in accordance to the will of God and be the salt and light in this dark and dying world, what kind of world will our grandchildren be living – or our children for that matter?